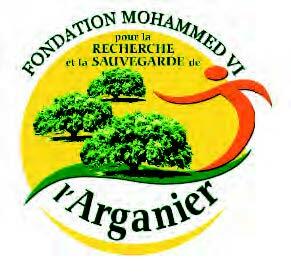 Description of the project: The Union of Women Coopera- tives for Argan oil (UCFA) and the Foundation have been work- ing together since 2013 to install and disseminate solar cookers amongst populations of Southern Morocco, as a means of pre- venting deforestation of argan trees, reducing CO2 emissions and Avoiding toxic wood fire fumes. They raise awareness among pupils and their mothers about local climate issues and the advantages of using solar energy. Children and women are trained in the schools to assemble cookers (delivered in kits) and on their use. Finally the cookers are transferred to the families, where women adopt them with enthusiasm. Climate Impact: Thanks to solar technology, CO2 emissions and toxic fumes caused by wood burning are significantly reduced. The simple and affordable technical solution makes solar energy accessible to women and local populations. The project contributes to the fight against deforestation and its climate consequences: 5 to 10 kg of wood are saved per day and per cooker. of a local small entreprise for the manufacture of cooker kits. At least 50% of the entreprise’s workforce will be women. Scalability/replicability: The project methodology has been tested over the course of three pilot operations (120 cookers distributed) and evaluated in 2016. Local facilitators, women and men, have been trained to support schoolchildren and women in the adoption phase. The solar cooker kits can be manufactured locally, involving women: the UCFA partners and Foundation, are planning the creation of a local business in 2017-2018.